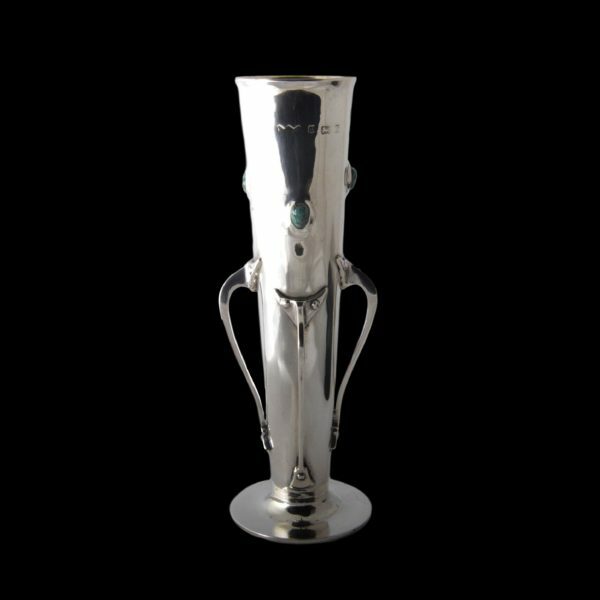 A Liberty & Co Cymric silver vase hallmarked for Birmingham 1901. 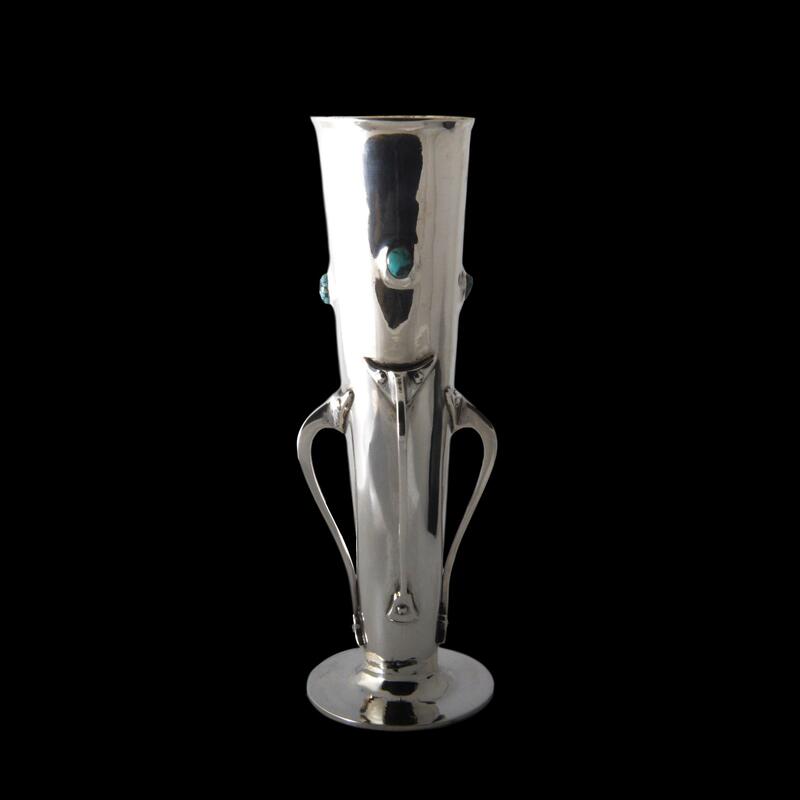 The vase has a distinctive modernist look and is set with turquoise. 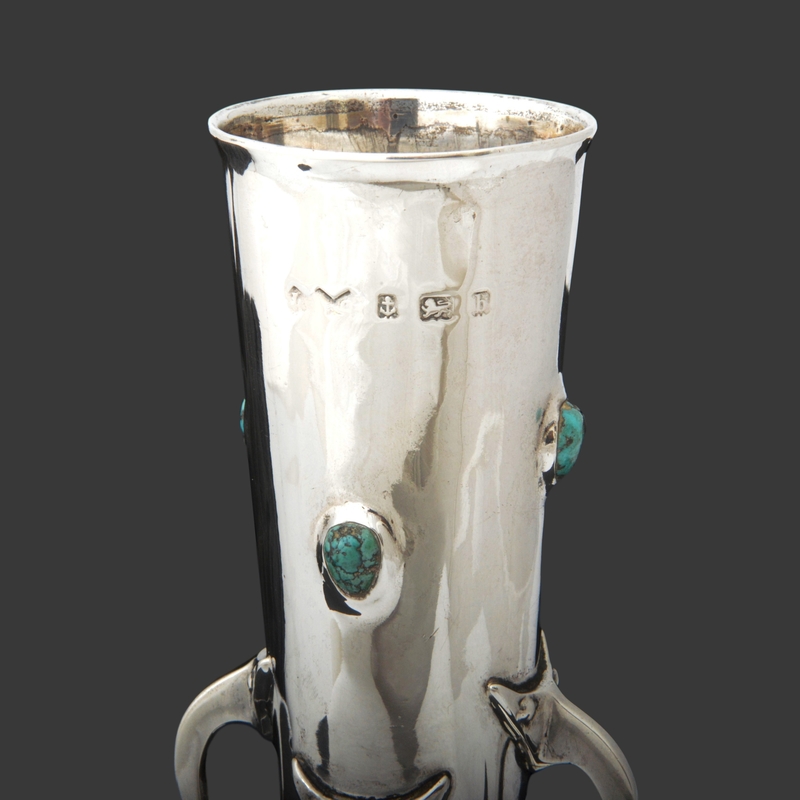 This is an early example of the design dating to 1901 and is a particularly good gauge of silver.